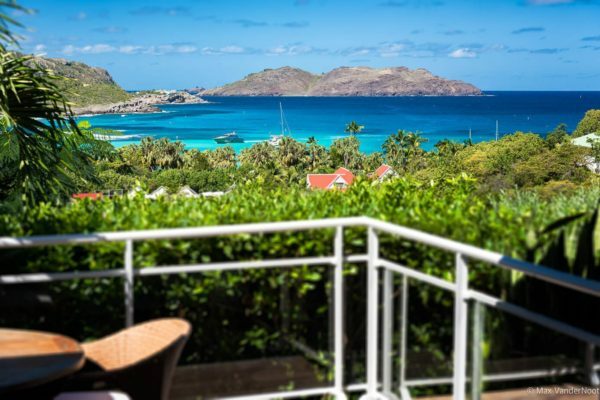 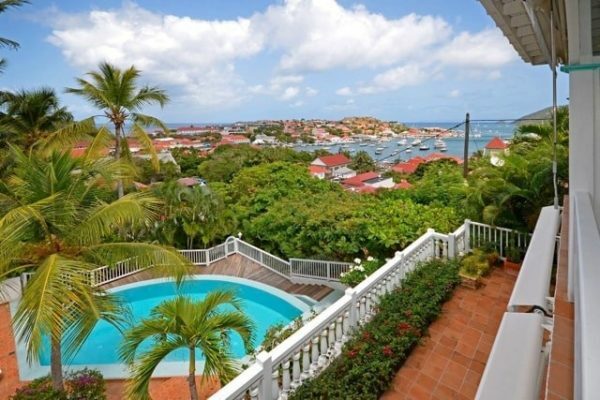 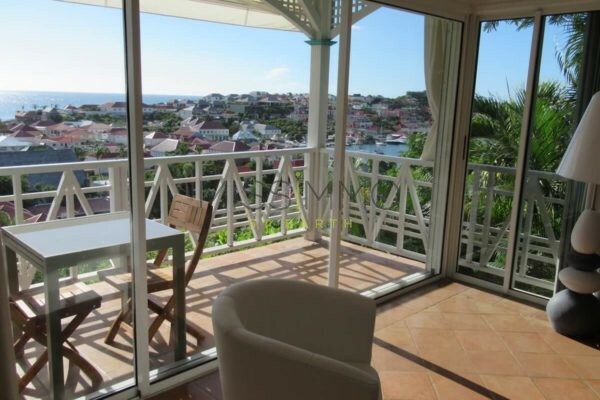 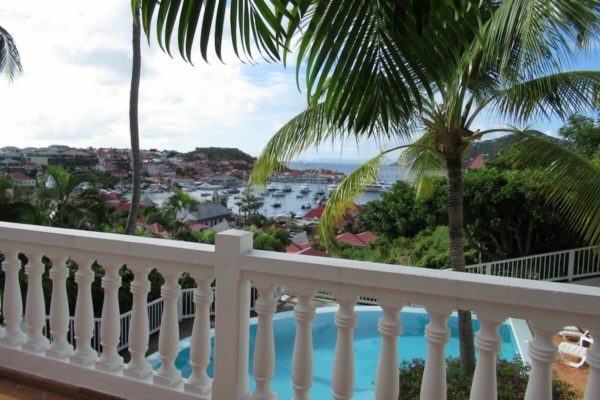 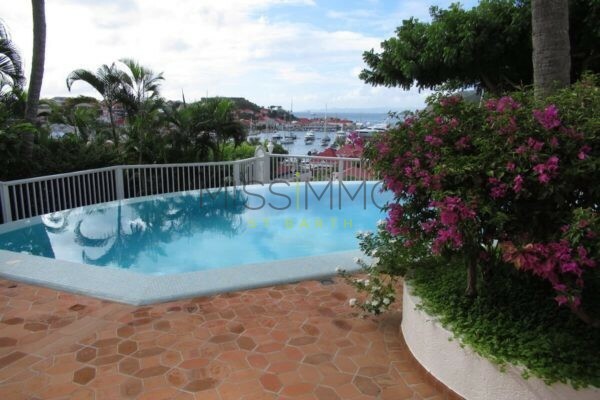 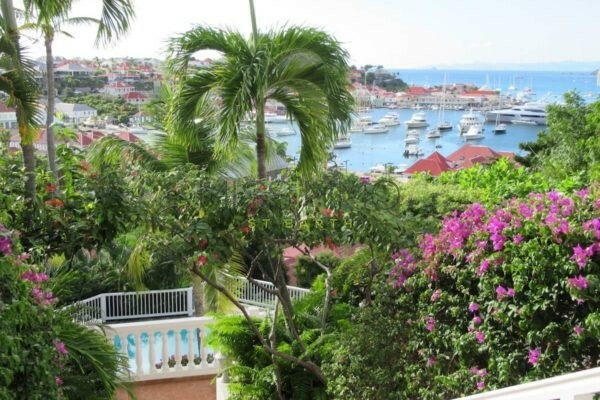 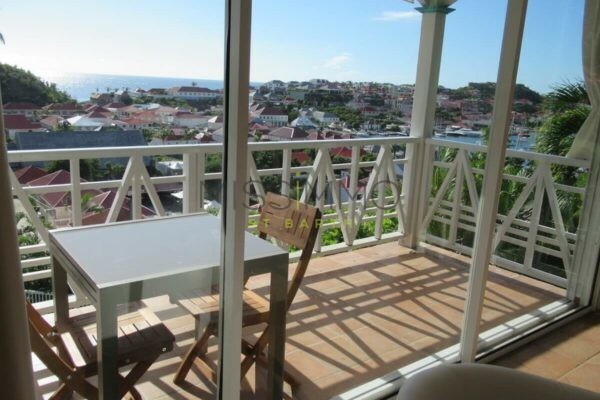 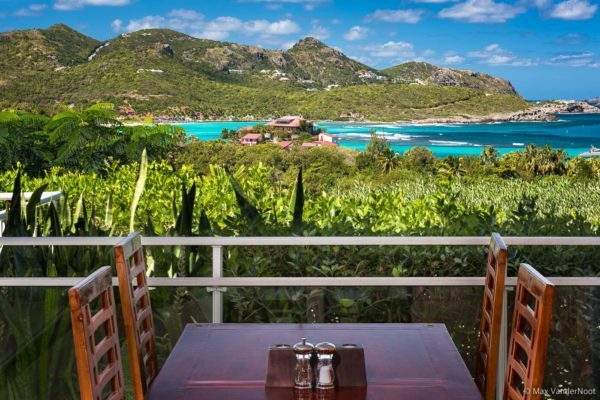 This fantastic apartment is on the hillside of Gustavia, in the famous Colony Club residence. 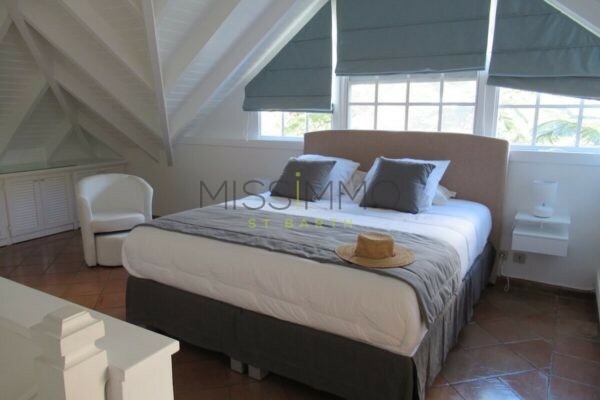 The bedroom upstairs offers a small balcony. 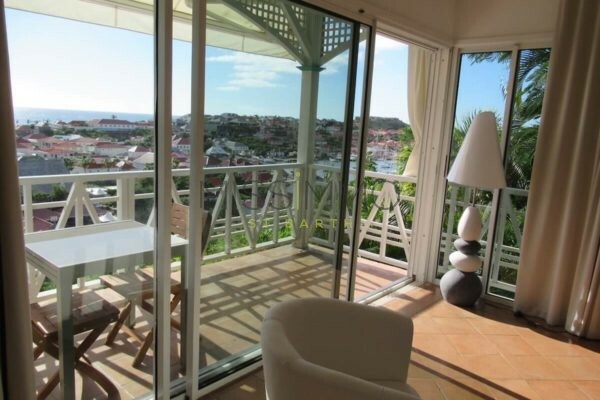 Decoration is bright and comfortable. 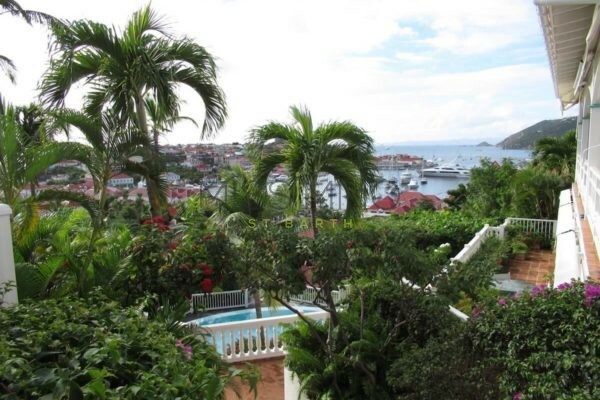 A tropical garden surrounds the residence. 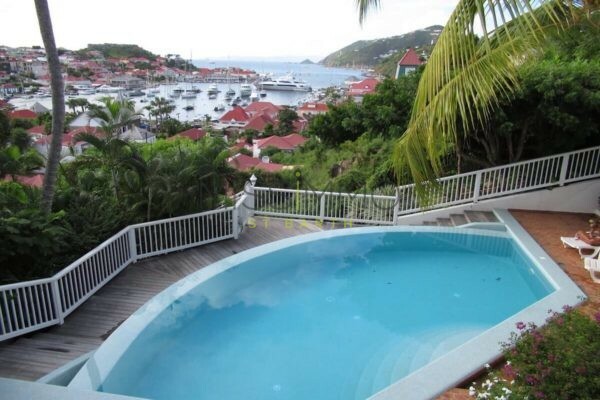 The residence’s pool has a wonderful view over the harbour and also the sea. 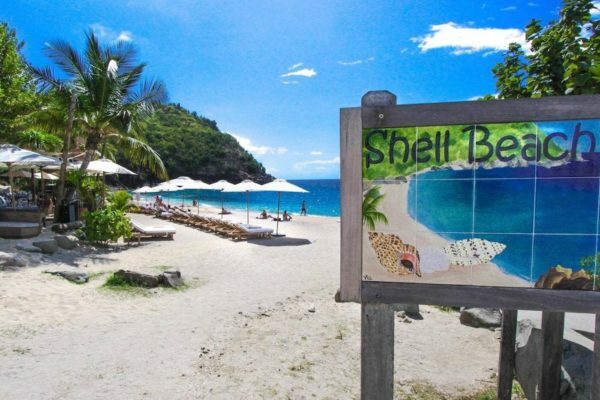 You can walk to your favorite shops and restaurants, but also Shell Beach. 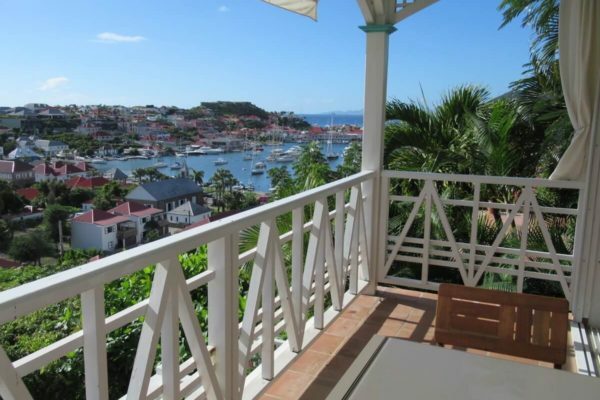 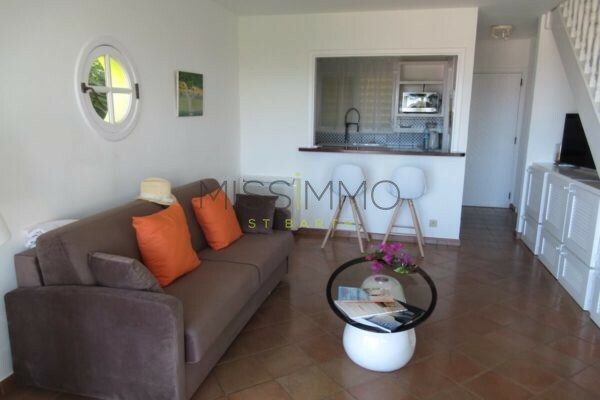 This property is perfect for a couple who needs to be as close as Gustavia that possible. 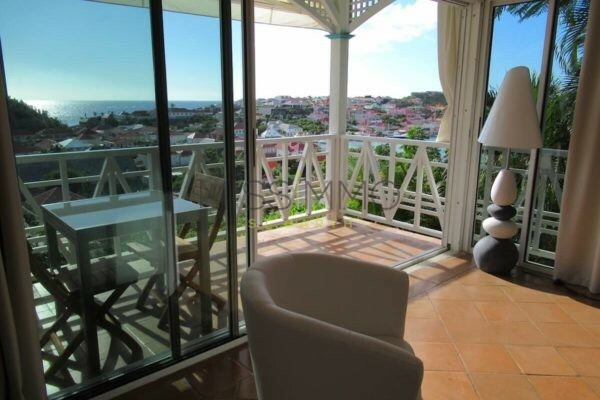 It can also be a great option while travelling with friends: The residence have several apartements for weekly rental. 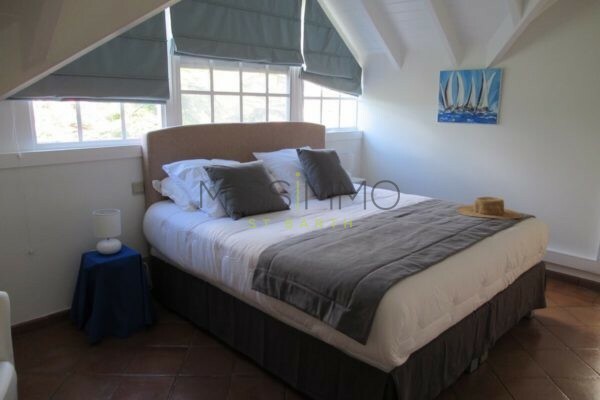 Air conditioning – TV – WiFi. 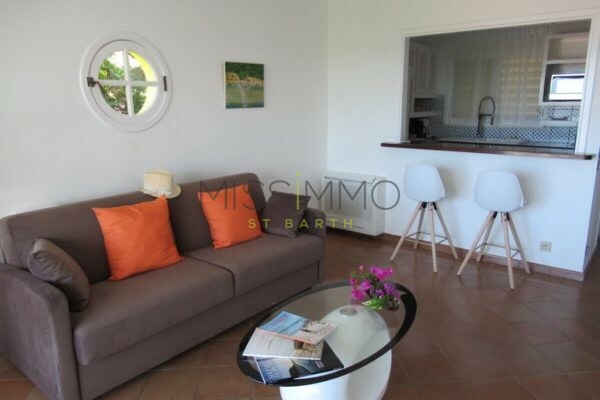 Equipped for 4 guests: Air conditioning – Fridge – Freezer – Oven – Induction stove – Dishwasher – Microwave – Coffee machine (Regular & Espresso) – Juicer – Toaster. 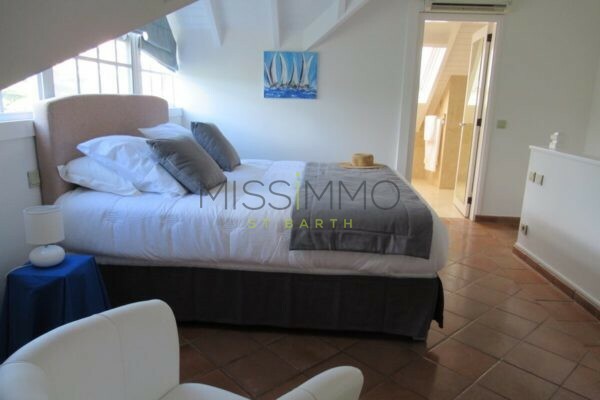 Air conditioning – Euro King Size Bed – Safe – Balcony with sea view – Bathroom with shower.